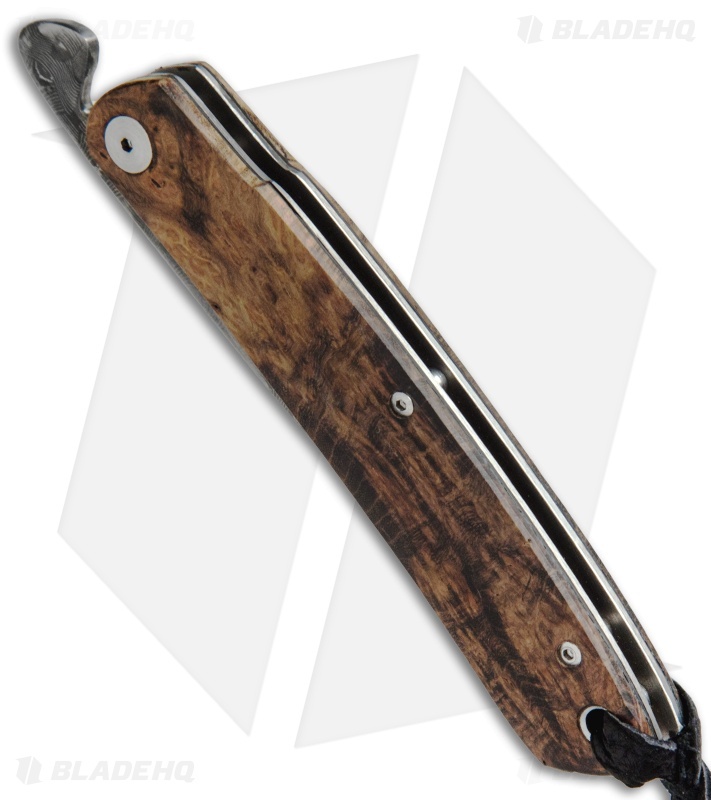 This DB07 Friction Folder from Kansei Matsuno offers a simple yet elegant, custom design. 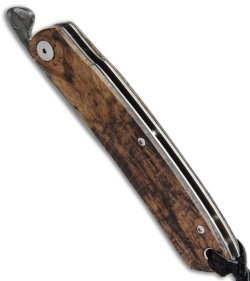 The handle features burl wood scales over titanium liners. 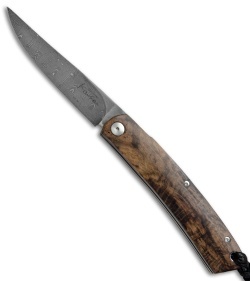 The blade is made from damascus stainless steel and comes in a slight trailing point style. 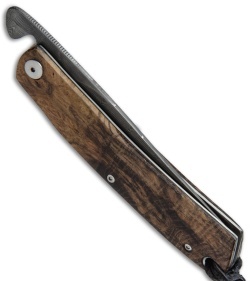 Includes a leather sheath for convenient EDC. Experience the custom Japanese quality of a Kansei Matsuno knife.